Written on January 25, 2012 . Posted in Announcements + Updates, Calendar, Continuing Education, Events, Fine Arts, Foundation Studies, Graduate Studies, Opportunities, Students, Updates from & for Faculty, Visiting Artist Lectures. 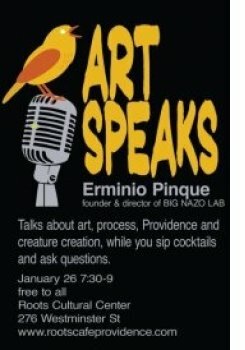 Stop by Roots Cultural Center and listen to Erminio Pinque Talk about the work he has done at BIG NAZO LAB. 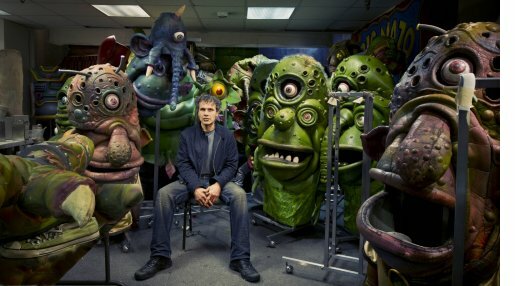 Pinque is the Founder of BIG NAZO LAB and his work employs large scale soft puppet, mask and sculpture creations. He also teaches RISD’s Wintersession Course, Creature Creation. This event is free to the public! Enjoy the conversation in a cafe environment! Where: Roots Cultural Center, 276 Westminster St.